Who needs chocolates in a heart-shaped box when you can make your own (without milk, gluten, or nuts) at home? I've never been a fan of those chocolates in the heart boxes anyway. I admit, I like my chocolate dark and plain. Today I am sharing my favorite chocolate truffle recipe... AND... 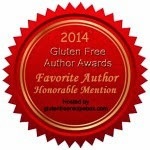 I have teamed up with some fabulous gluten-free bloggers to bring you an awesome giveaway. The coconut creamer is the perfect replacement for traditional cream in these truffles because it contains thickeners. 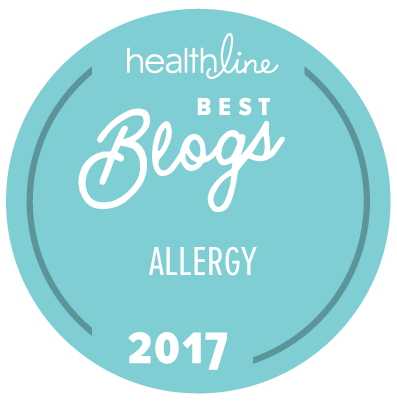 Use your favorite allergen-free chocolate chips with this recipe. Pascha, Enjoy Life, and Divvies chocolate chips all work beautifully, and any size chocolate chip will work. Or, to make the wonderful Valentine's Chocolate Truffles you see below, roll the truffles in the candy sprinkles to coat them on all sides. 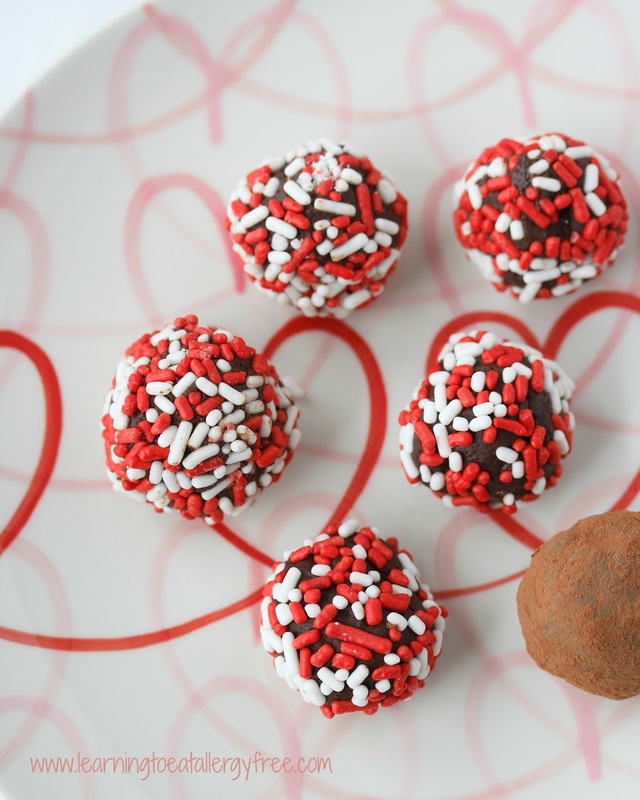 Refrigerate the truffles for an hour before sharing them with someone you love! Now for the BIG giveaway. I have always loved Valentine's Day--my mom made sure to make it about love and pink/red and hearts, not about boyfriends or heart breakers! Truffles are my favorite! Thank you so much for offering such a wonderful giveaway. 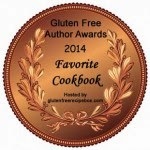 what a "sweet" giveaway and recipes! My sweetie loves anything chocolate. And I am constantly looking for new recipes in all categories that help us attain a healthier lifestyle...especially in the food area. Can't wait to try the chocolate truffle recipe! Winning this giveaway would be such a blessing.. A kitchen Aid stand mixer has been on my wishlist for years!! 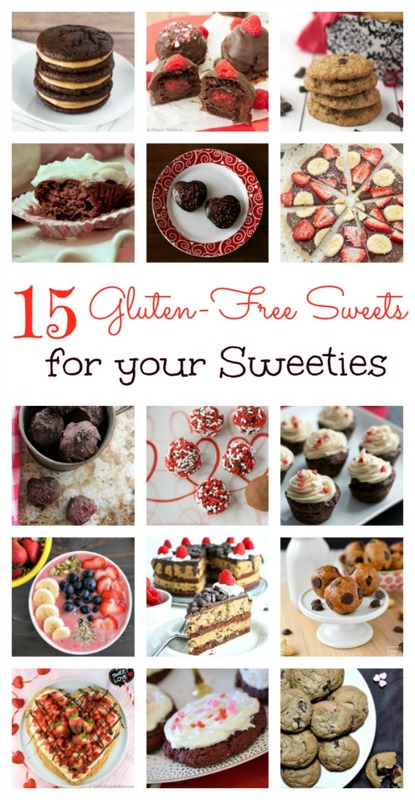 This looks like a WONDERFUL holiday treat for my daughter's class, where there are many with gluten and nut allergies! You could make this recipe for any holiday or celebration by changing up the color of the sprinkles. Put them on a stick and they can be truffle pops! 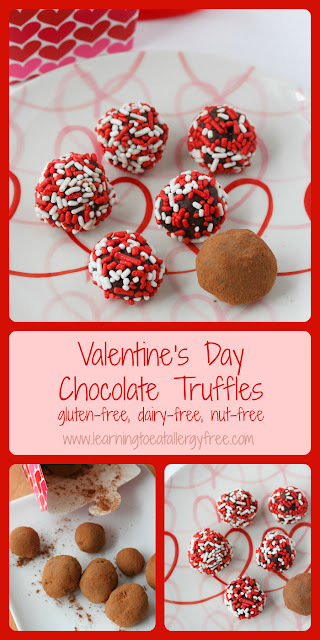 Coconut chocolate truffles -- love the combination. Happy hearts day! The KitchenAid we got for our wedding broke some time ago, so this would be amazing! Great recipe!! So cute for Valentines! Looks amazing! Can't wait to try as we are a gluten and nut free house! Hi! I've made a lot of truffles but never any with the flavored creamers. I'm making these tomorrow! Thanks for the recipe and thanks for the giveaway. I so want to win a mixer!